We recently published a blog about the role of physical retail stores for direct to consumer (DTC) brands – hope you liked it. What we didn’t mention is that, well … not quite sure how to put this … a lot of them could be … better. We love the idea of having 1 or 2 physical stores in each of your key markets. But here’s the thing, it turns out there’s a bit more skill involved in creating and running a store than everyone had thought. Displays don’t survive first contact with customers. The trouble with physical stores is that customers come in and move stuff around. Sometimes displays can be so pristine customers are intimidated to touch, and if they do touch it messes up the whole sleek aesthetic when they put it back, never mind if they actually buy it! So rather than dwelling for too long on what we’ve not liked, it’s probably more useful to talk about what we have liked. What we’ve seen that could help if you’re looking to improve a store you already have, or planning your first foray into physical stores. Not all these brands are technically DTC, but all have done something well that we can learn from. Aesop stores are excellent. Digging into that a bit more, we love that each store has a unique design appropriate to the building and neighbourhood they’re in – including bespoke fixtures. That’s hard to do when you have hundreds of shops – but when you only have a few, why not. Building on that, every store we’ve been in around the world has had consistently excellent colleagues. Well informed about the brand and the products, able to help the customer find the solution which is going to work for them. It helps that each store makes a feature of trying the product, including lots of samples to hand and sinks to wash at. The store design encourages the customer to engage. 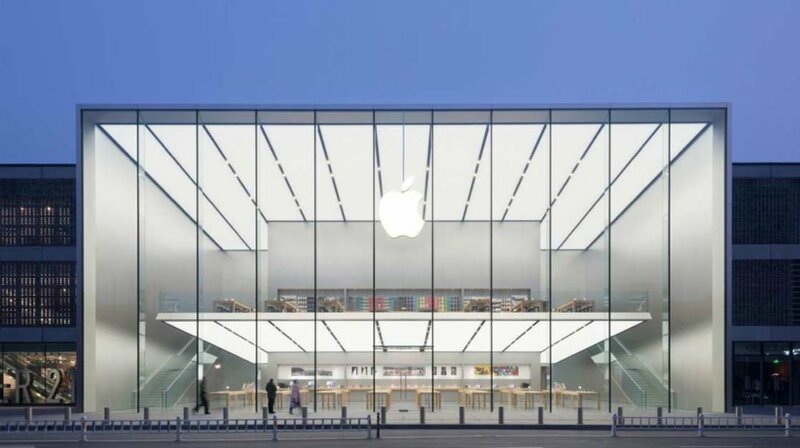 It’s hard to do a blog about great stores without mentioning Apple. The stores are beautiful and immersive, with live product readily available for customers to experience the range in action. There’s a great selection of products explained well by informed, motivated and empowered colleagues. Although, our team of crafters do feel some of the stores, e.g. in London and New York, are over-shopped, to the point of becoming unpleasant for the customer. It becomes challenging to find what you’re looking for and get the support you need. Our team love the Glossier stores, with a look, feel and experience which makes you feel part of the Glossier tribe (with the millennial pink being especially popular with one of our crafters). The products are beautifully displayed, and the colleagues well informed and helpful. Unlike some other stores from DTC brands, the operation of the store has been well thought through. Customers can select what they want to buy on a check list, hand it to a colleague – and their purchases will be wrapped and ready to go when they get to the front of the checkout line to pay. OK, so Lulu Lemon have had their ups and downs recently – but the stores are pretty good, aren’t they? Our crafters have shopped with them in North America, Europe and Asia – and in each market the colleagues are engaged, energetic, passionate about the brand and keeping fit, as well as knowledgeable about the product. In addition, the stores look good and encourage a deeper connection with the customer by offering yoga classes before and after store opening hours. We also like the slick integration of online and the physical store, e.g. easily checking stock online and in other stores, and the ease with which online customers can get free hem adjustments for their pants or returns/ exchanges in store. It feels like one business – as it should. The Everlane store in New York does a great job of translating the brand and proposition from the digital world into the physical. The same minimalist aesthetic comes through in the store, as well as the richness of information about the product and ‘radical transparency’ about how and where things are made (this is achieved through product tags with good information, supported by tablets sprinkled around the store). The store was a victim of its own success on the day we visited, though – with queues for the changing rooms almost out the front door and the store was looking over shopped (i.e. product out of place and on the floor). At some point, such success can become damaging to the customer experience, and perception of the brand. The operational realities quickly kick in. Rapha is a cycling apparel and accessories brand based in the UK. They don’t have stores. They have clubhouses. They’re not just about selling tops and bottoms. They’re about cafes, rides, events and live racing … and they sell some clothes. Rapha does a great job of building community and engagement with the brand. Their clubhouses (as well as having a shop) have a café with great coffee where people can relax before or after a group ride which has started at the clubhouse. What a great concept and execution. Rapha is tapping into what the customer really wants to achieve – not just selling them a top. This is perhaps a left-field choice. But there’s a lot to like about Samsung’s 837 store in New York. You can’t actually buy anything there – but they’ve gone above and beyond in showcasing what their products can do. Including a variety of immersive virtual reality experiences featuring their latest phones. Well worth a visit when you’re next in New York. Jonathan Miller is Craft Partner: Scale Up! at The Craftory, the counter-corporate anti-VC on a $300M mission to back the world's boldest challenger brands in the consumer goods space.